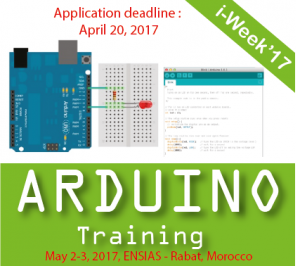 The organizers of i-Week’17 offer the opportunity to benefit for free from a 100% practical training workshop on embedded systems based on Arduino Platform. Application deadline: April 25th, 2017. Notification of selected candidates: April 28th, 2017.